At Loveland Veterinary Clinic, the health and well-being of every animal we treat is of the utmost importance. With regular checkups, your pet can stay happy and healthy, but what about the types of food that you give them at home? Our team always strives to stay on top of the latest in pet nutrition, and that includes keeping an eye on any foods that have been recalled. The American Veterinary Medical Association (AVMA) has issued a recent pet food recall due to Salmonella contamination, elevated levels of vitamin D, and other issues. The full alert list can be filtered by dog food and cat food, so you can quickly find any foods that you may give your pet. What Are the Risks of Contaminated Pet Foods? For any foods that are contaminated with Salmonella, the risks can be very severe for both you and your pets. 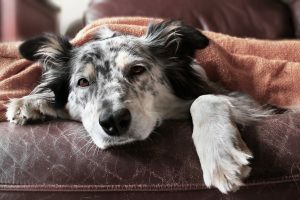 If your pet develops salmonellosis from any of the recalled foods on the AVMA list, then they may display certain symptoms. These symptoms include, but are not limited to, lethargy, fever, diarrhea, and vomiting. It’s important to keep in mind that salmonellosis is zoonotic, which means that it can be transferred to humans. If your pet is showing any of these symptoms or simply aren’t acting like themselves, then please bring them to our vet clinic right away. Other foods on the list have been recalled due to elevated levels of vitamin D. High levels of vitamin D can be toxic to animals, especially dogs. Depending on the dog’s age, weight, and overall health, too much vitamin D can cause vomiting, loss of appetite, excessive urination, and other symptoms. These could cause your pet to become dangerously dehydrated or lose weight much too quickly. Many cat foods on the recall list have potential Listeria contamination, which can lead to listeriosis in your feline companion. Symptoms of listeriosis include weakness, vomiting, fever, and muscle stiffness, and if you notice any of these in your cat, then it’s imperative to seek treatment from a qualified veterinarian right away. You find a complete list of SKU codes and “Use by” dates that correspond to the recalled foods on the AVMA page. 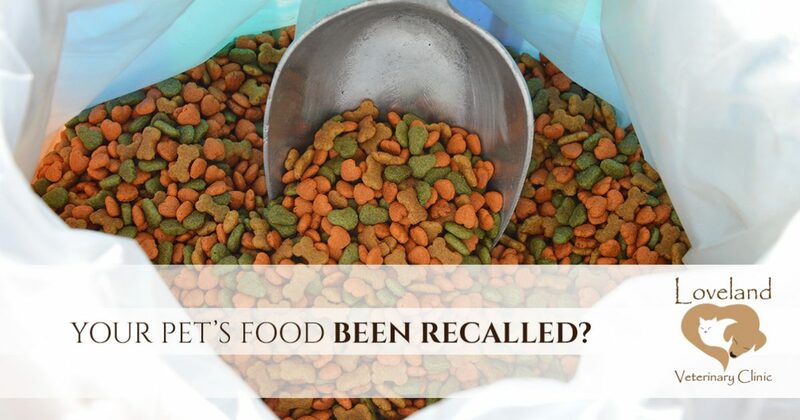 The first thing to do is to dispose of any recalled pet foods you have in your home. If you’ve given your dog or cat any of the foods on the recall list, then be sure to monitor them for any of the symptoms listed above. You can schedule an appointment with our clinic and we’ll take a look at your pet to ensure that their health has not been negatively affected. We can also recommend a safe alternative to the food your pet has been eating. If they have food allergies or dietary restrictions, then we’ll find a good option that can help them stay healthy for a very long time. Above all, we want to make sure that your pet has a normal and happy life. If you have questions about the recent pet food recall, or you want to know if a certain food is safe for your pet, then please don’t hesitate to contact us. We’re always happy to help however we can.